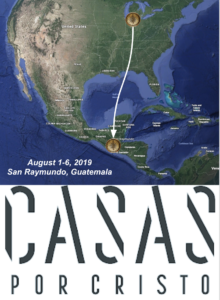 The commitment date for our August 1-6, 2019, Guatemala missions trip is approaching quickly. Paperwork and $100 deposit to hold reserve your spot for the trip is due Sunday, February 3. Please see Danielle Whah, Lori Wade, or Jim Matthews with questions, or to get the paperwork that needs to be completed.